The Dodge Company have recently purchased their own fleet of demonstration equipment to support their clients in their specialist field. As a Duplex dealer Dodge supply predominantly into the funeral care and mortuary markets. 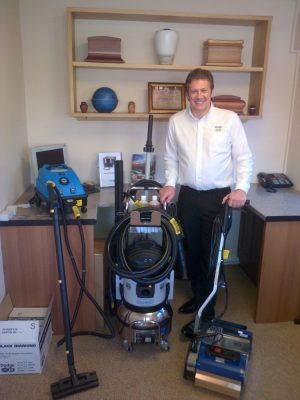 Since being an active dealer with Duplex for the past few months they have exploited the need for their customers to have the right cleaning equipment for their environments and found that Duplex can offer a full and complementing range. Now they will be doing their own demonstrations and “dancing with Duplex” across the country. Many thanks to Ben and the team at Dodge.